Image: ER Productions Limited/DigitalVision/Getty Images. The 2017 – 2018 flu season was one of the deadliest on record, especially for children. In fact, according to the Centers for Disease Control and Prevention, 185 children died last year — the highest number of pediatric flu-related deaths since 2012. However, that is not the most alarming part. Of those who died, at least 80 percent were unvaccinated. Of course, based on these statistics, one would assume most parents are planning to vaccinate their children this cold and flu season, but a new study reveals these assumptions would be wrong. According to the study, conducted by C.S. Mott Children’s Hospital at the University of Michigan, 34 percent of U.S. parents do not plan to immunize their kids for the flu this year. Researchers surveyed nearly 2,000 parents for the study, and while many plan to have their child vaccinated, one-third do not. Among the reasons are that the child’s pediatrician did not make the suggestion; the parent had read/has read negative information about the immunization; and/or friends, family members or other parents advised them to avoid the flu vaccine. In fact, the latter proved the most influential. 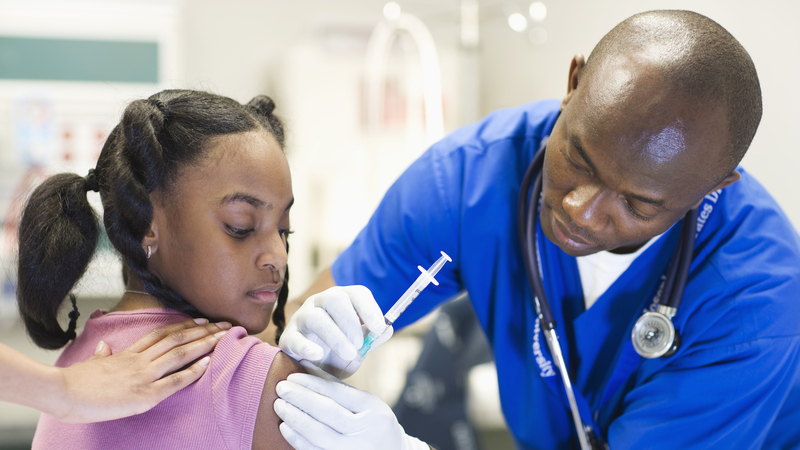 Peer comments were the most common reason parents questioned the flu vaccine. Sarah Clark, codirector of the C.S. Mott Children’s Hospital National Poll on Children’s Health, told CNN, “[T]he biggest takeaway is that there is a group of parents who look like they have a gap in expert guidance around whether kids should get flu vaccines, specifically whether their kid should get flu vaccine.” That is cause for concern, as children who do not get flu vaccine — even those who are otherwise healthy — are at increased risk for death or serious influenza-related illness, according to the Mott Poll Report. As such, parents should talk to their child’s doctor and/or health care provider as soon as possible, as this will help them make a thoughtful and well-informed decision.